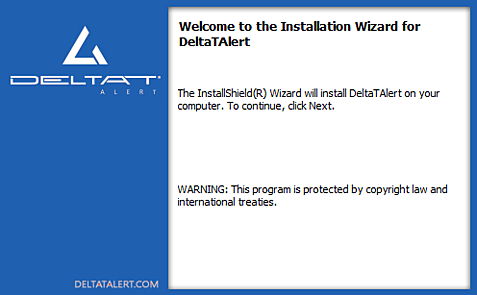 Download the following Delta T Alert Installation guide, covering the installation of the sensors, gateways, and the Delta T Alert Software. 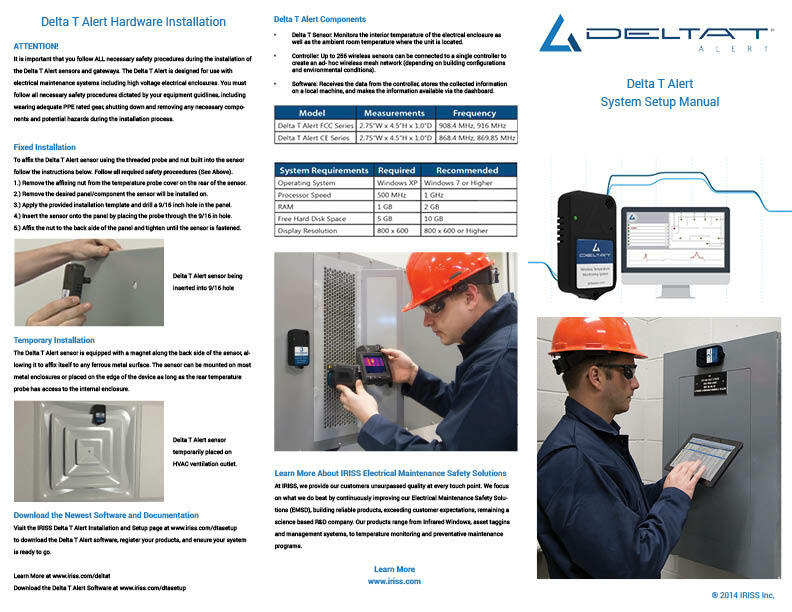 The Delta T Alert software allows you to use your sensors and controllers to provide constant scheduled temperature trending information for your desired electrical assets. Your sensors will communicate rising temperatures, transmit alarms, and even trigger an audible alarm to provide you with a crucial component of your preventative maintenance system. Delta T Sensor: Monitors the interior temperature of the electrcal enclosure as well as the ambient room temperature where the unit is located. Controller: Up to 256 wireless sensors can be connected to a single controller to create an ad- hoc wireless mesh network (depending on building configurations and environmental conditions). Software: Receives the data from the controller, stores the collected information on a local machine, and makes the information available via the dashboard.